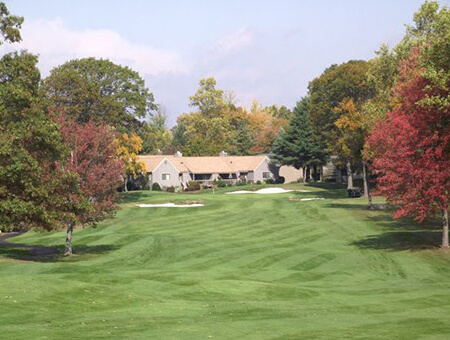 The fairways of Oronoque Country Club weave through Oronoque Village like great ribbons. 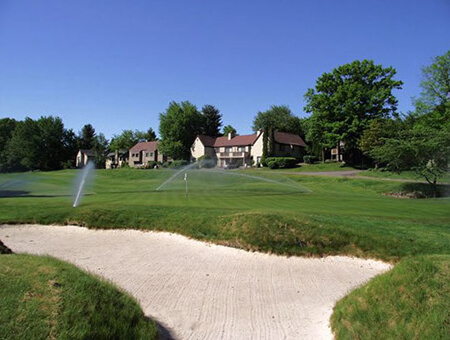 A private golf club, OCC was commissioned in 1972 by renowned golf architect Desmond Muirhead, who converted the existing orchards and farmland into rolling fairways and undulating greens. Legendary golfer Gene Sarazen was Muirhead’s consultant. 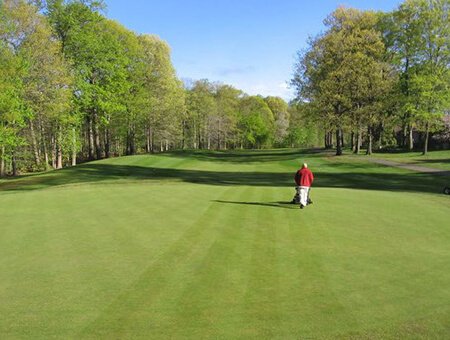 The 6,600-yard, par 72 Championship layout is a classic New England Design. It has been recognized by Golf Digest Magazine as one of the 50 most challenging courses in America, but the layout offers options that make it a wonderful experience for all levels of play. 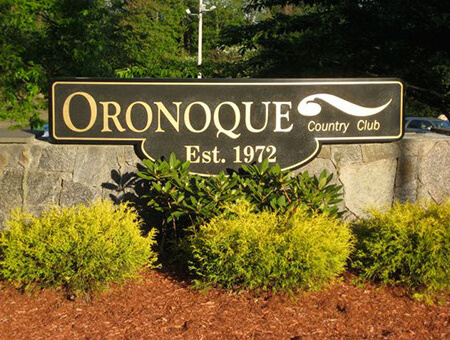 Residents of Oronoque Village have free social membership in Oronoque Country Club. They can dine and bring guests to the Club at any time. 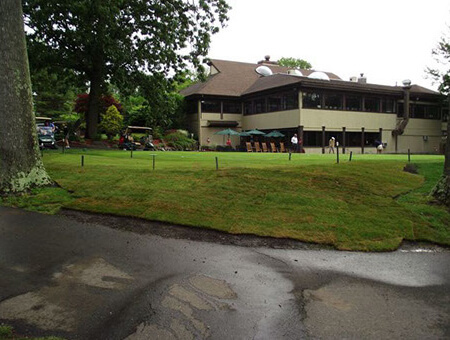 (Many Village gatherings are held at the Club.) Residents can join the Club at special reduced membership rates. Call 203-386-9753 for full details. 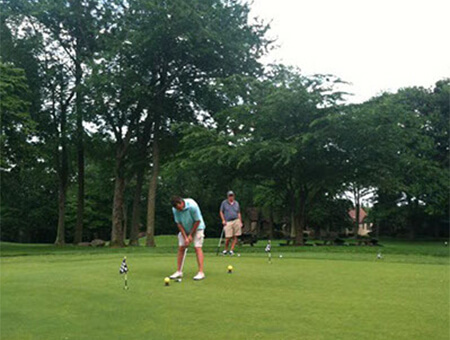 Those who don’t join can still play the course once a month at ordinary greens fee rates.